How to Run my First Test with SoapUI? 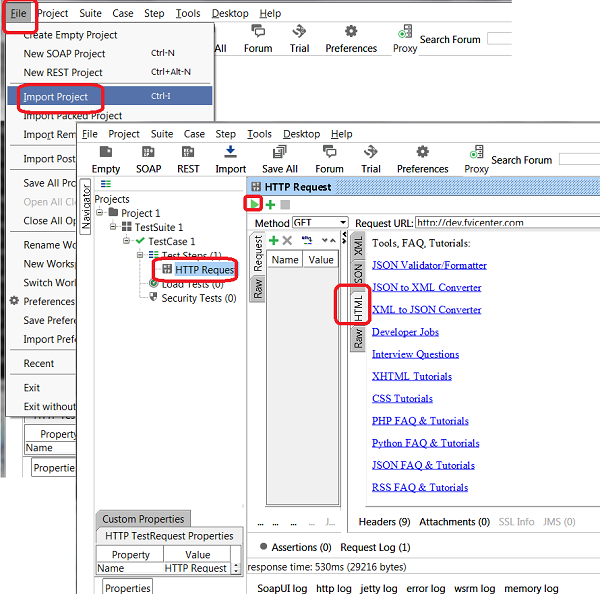 If you have created your first test in SoapUI as described in the previous tutorial, you run it using these steps. 4. Click the "Run" icon. You see the test step executed. 6. Click "File > Save All Projects" menu and save it as "\fyicenter\First-project.xml".